After the great success of Django Unchained Quentin Tarantino is working on the next film in the Western genre. Yesterday the director revealed its name and several other details about the script, filming and actors. Also lots of rumors about the upcoming action appear all over the Internet. Quentin Tarantino has told journalists that he likes Western films and, according to the box-office success of Django, he can direct them quite well. That's why his new movie - The Hateful Eight - will also be filmed in this genre. It seems that the blockbuster is going to be an allusion on The Magnificent Seven - the famous movie released in 1960, which parodies Akira Kurosawa's Seven Samurai. The script is already over and, according to the rumors, some actors have already received its copies. 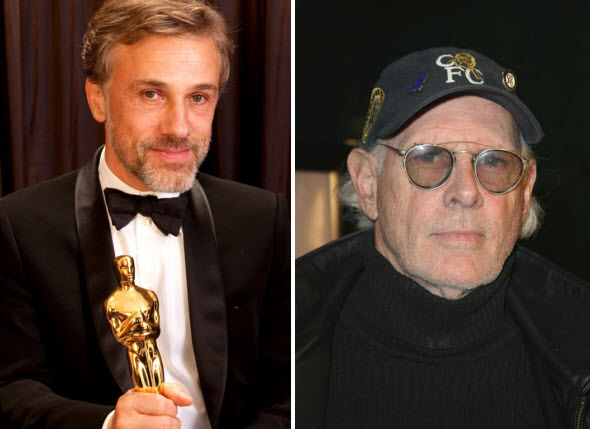 As for the actors, one of the leading role will be performed by Christoph Waltz - the guy, who has already appeared in Tarantino's films, including Django. Also it is rumored that Bruce Dern - a 77-year-old American actor, who has taken part in more than 140 movies, - will also join the cast. The Hateful Eight release date hasn't been announced yet, but we hope that it will be completed soon. And what about you?